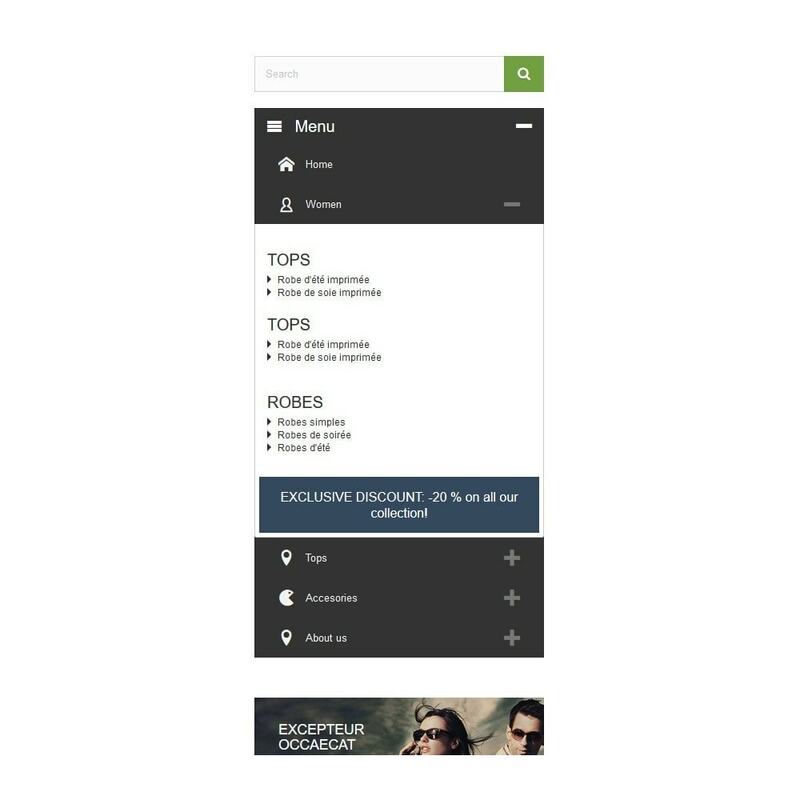 Boost your shop and offer an intuitive and comprehensive navigation to your visitors thanks to the rich menu ! Through the use of Drag & Drop in backoffice, it will be easy to configure the menu as you want. In addition, The Rich Menu module allows any type of content. So you can highlight any important information directly in the menu. Many fonts with customizable sizes for the menu thanks to "Google Font"
Provided translations : EN, FR, PT. 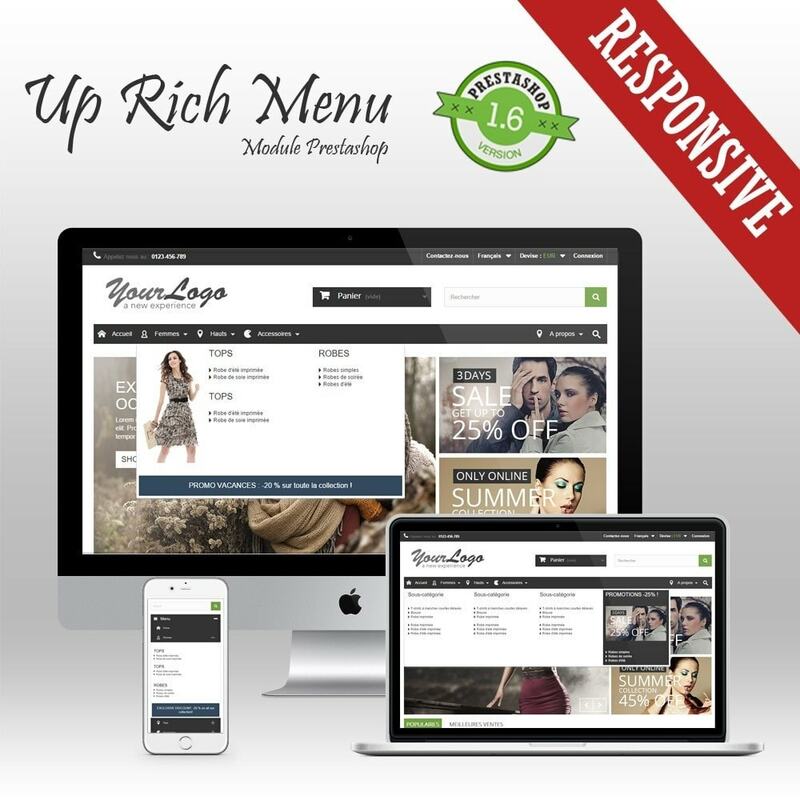 The Up Rich Menu module uses the Responsive Design technology. So, it fit on smartphones and tablets. The Up Rich Menu module is W3C and Prestashop validator rules compliant. The Up Rich Menu module has been tested on the following browsers: IE 9 to 11, Edge, Firefox, Safari, Chrome and Opera. The Up Rich Menu module is supplied with a full documentation. The Up Rich Menu module offers to your customers a simple and clear navigation within your shop. 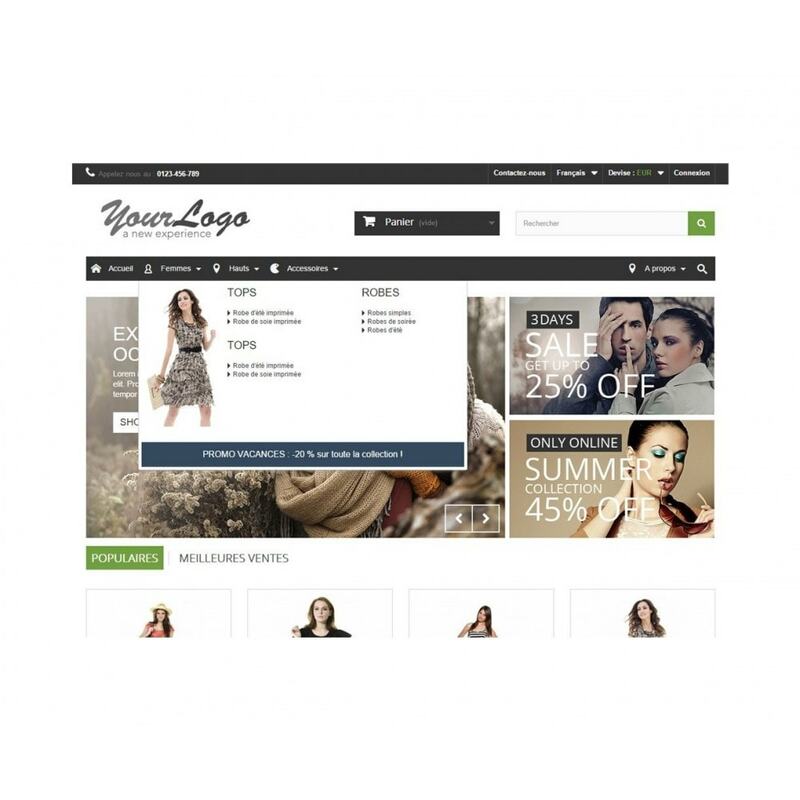 The Up Rich Menu module can be installed in the same way that any Prestashop module. Either by uploading directory of the Up Rich Menu module, via the FTP protocol, in the "module" directory of your installation. Or by using the "Modules" tab of the back office of your shop. For more information, see the documentation provided (readme_en.pdf file).